This outstanding cultivar has received the Royal Horticultural Society's Award of Garden Merit. 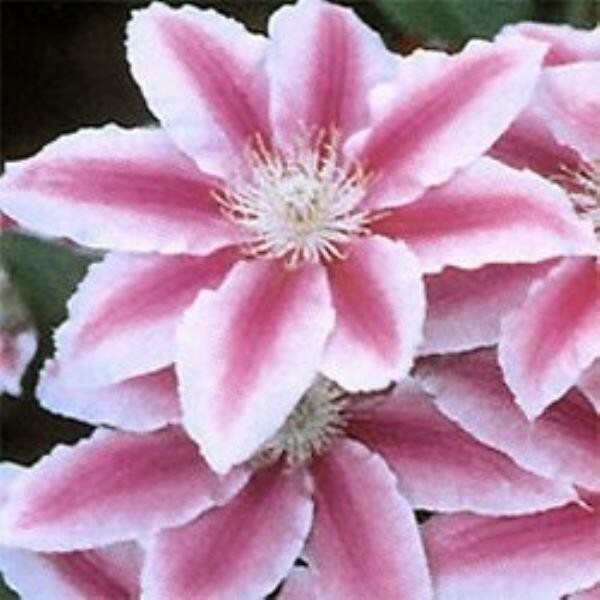 It produces a heavy display of large 6-8" creamy pink blooms with striking purple-red bars in late spring and again in late summer. Will do well in partial to bright shade. Supplied in approx 2-3 litre containers.